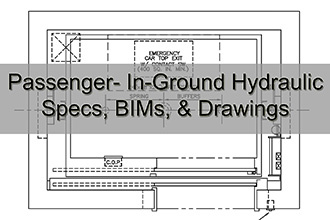 Alliance In-Ground Hydro: The jack is located directly under the platform, in the ground. The jack is protected from the ground using a PVC liner. 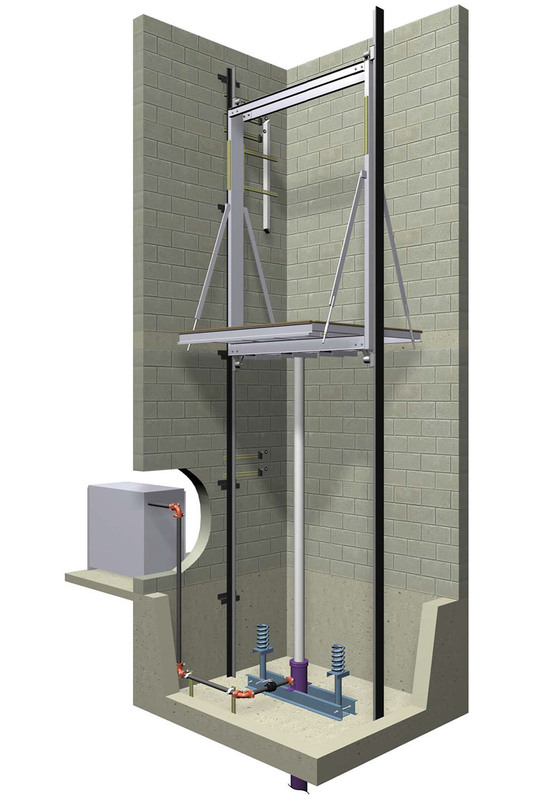 Material cost is less expensive than other elevators. This is the easiest to install and is available in low capacity as well as high capacity applications. Heavy freight carsvare typically always in-ground. The jack is located underground and oil contamination is possible, although rare. A PVC liner provide protection between the cylinder and soil. Requires drilling deep hole for hydraulic jack. Requires 4 ft deep pit or greater. Travel speed up to 150 feet per minute.